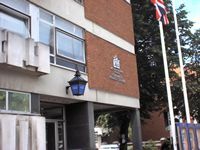 POLICE WIDEN THEIR WEB TO MAKE CHISWICK SAFER - Officers at the local crime prevention team have combined with ChiswickW4.com to bring you a comprehensive source of advice and information to help in the fight against crime. CLIMB DOWN ON "CAR FREE DAY" - Council no longer to close Chiswick High Road citing objections from the emergency services. CRIME IN CHISWICK IN A NATIONAL CONTEXT - A detailed look at local and national crime patterns from Chiswick resident and Home Office adviser Robin Marris. "Sorry sir, it's actually a Pilates class." PIRATE RAID ON RIVERSIDE HEALTH CLUB - Staff at the Riverside Club were shocked by the sight of a pirate walking into reception. Far from being a seagoing brigand this was club member Leon Mills who the management are attempting to expel. 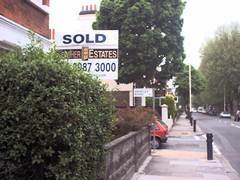 "DON'T BELIEVE THE HYPE ON CHISWICK PROPERTY" - Analysis of Land Registry figures suggests Chiswick property prices rose by only 2.3% over the last year. LIBRARY - "IT'S ALL UP IN THE AIR" - The Friends of Chiswick Library express concern at the lack of progress and disclosure on the library redevelopment. CHISWICK ELECTRICS MOVING NOT CLOSING - Fears that a popular local shop might close prove unfounded. DISTRACTION BURGLARIES AND DOOR STOP CONS - The does and don'ts of dealing with callers at the door from the Chiswick Crime Prevention team. CHISWICK AREA COMMITTEE PLANNING - Meeting discussed planning issues including developments at Chiswick Business Park and plans for a new conservation area in West Chiswick. SOHAM COPYCAT ON KING STREET? - An attempt made to abduct two girls aged 10 and 11 in broad daylight in Hammersmith. AUTUMN SEASON BEGINS AT THE TABARD THEATRE - The Two Colour Theatre company is bringing Tom Griffin's off-Broadway smash "The Boys next Door" to Chiswick. TOP MARKS FOR LOCAL SCHOOLS - A level records smashed with one school popular attended by many Chiswick students achieving a 98% pass rate. GCSE results also see massive improvement. WILLIAM HOGARTH AND BELMONT SCHOOLS GETTING TOGETHER - A joint art project by the two schools gave the children a chance to meet up. SEA CADETS SEEK VOLUNTEERS - Can you spare sometime to help this much praised unit? ANNIE GET YOUR MAP - Annie's looks set to beat the jinx of a restaurant graveyard. TEAMWORK BY CHISWICK BUSINESSES SAVES THE DAY - How two local businesses got together to beat the tube strike. BLENHEIM CONCERTS - A Concert by Julia Karen Williams and Yukie Wake reviewed. CHISWICK COUNCIL TENANTS FACE MASSIVE RENT RISE - Government plans to base social housing rents on property values could mean Council tenants in Chiswick paying an extra &pound;700 a year. CHISWICK RESIDENTS URGED TO LOBBY AGAINST UXBRIDGE ROAD TRAM - Gridlock on Chiswick High Road and Stamford Brook Road predicted if scheme proceeds. PENSIONER TO BE CHISWICK LIFESAVER - The second of the Thames lifeboats based at Chiswick has been officially named at a ceremony at The Royal Hospital, Chelsea. The E class lifeboat will be named "Chelsea Pensioner". LABOUR PARTY MEMBERS URGE ANN KEEN DESELECTION With the Labour party being described as being as "popular as foot and mouth" in Chiswick by one of its own members, Ann Keen (left) gets a vote of confidence from the man widely tipped to succeed her.